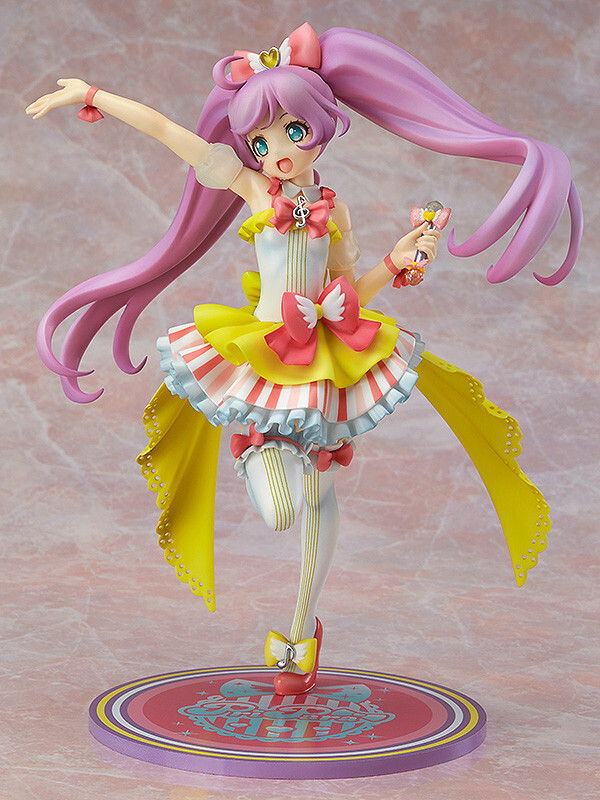 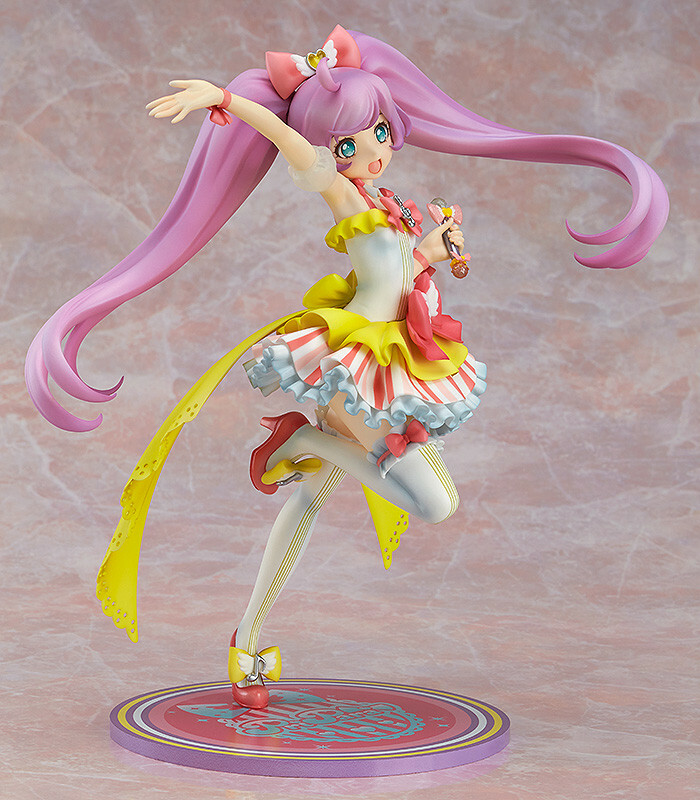 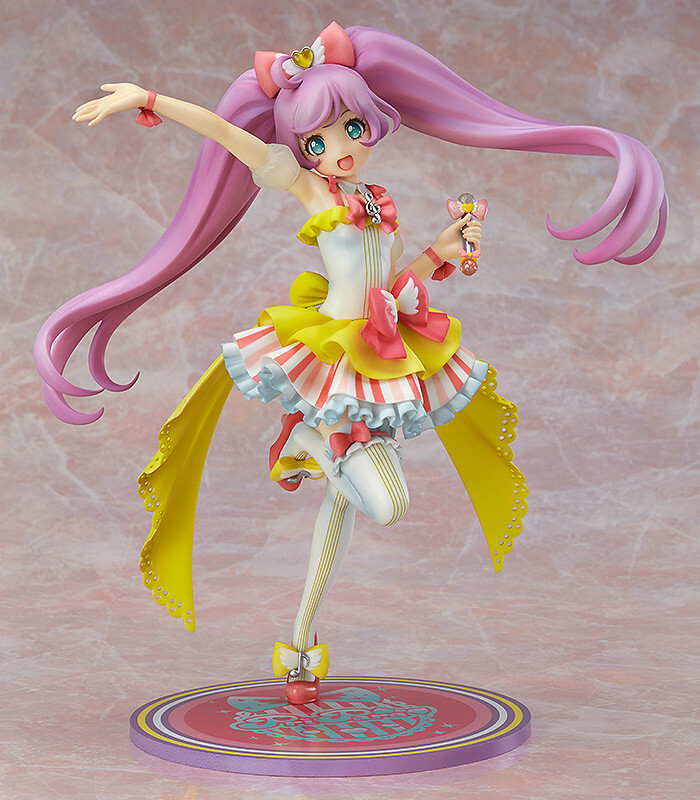 Laala has been posed in a dynamic pose as if in the middle of a live performance, shouting out to her fans! 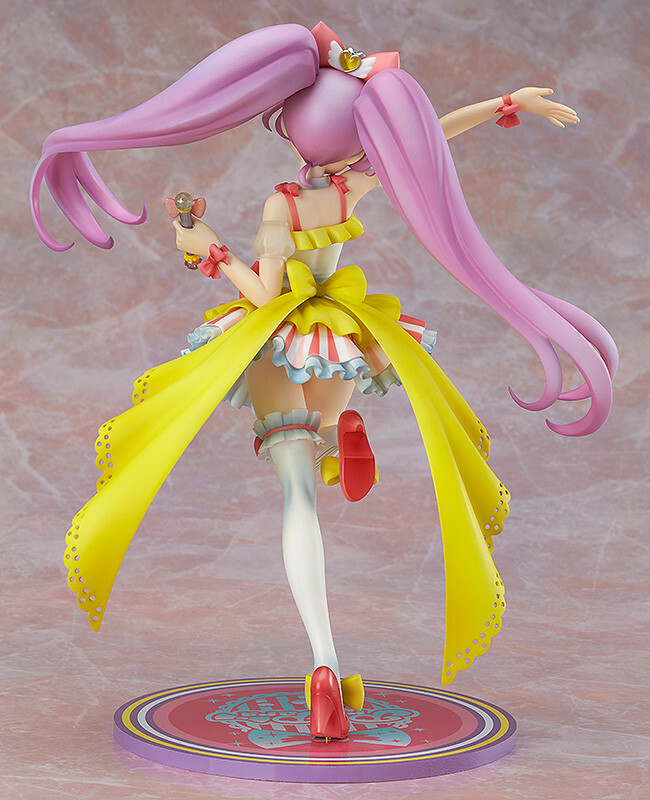 All the details of her outfit from the feather accents to the ribbons and frills have all been carefully included on the design. 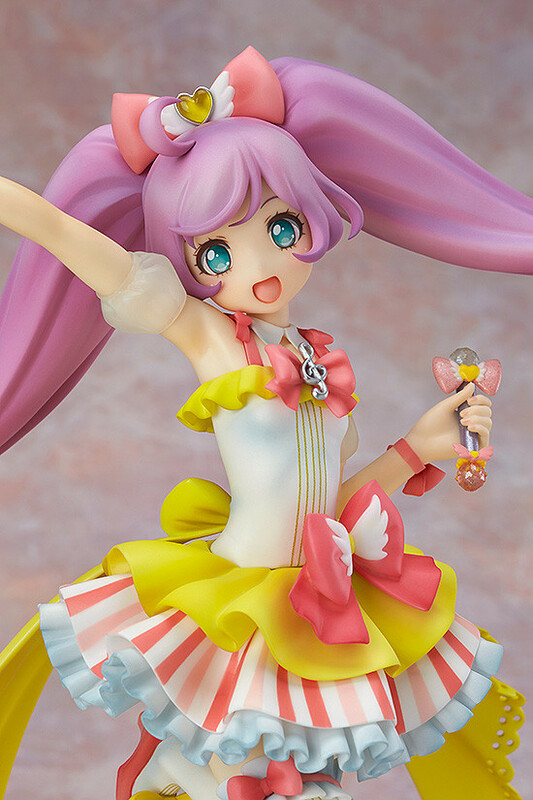 The 1/7th scale figure size allows for even more intricate details for fans to enjoy!